Redan, Egmont and Immediate Media all see growth for the July to December 2013 period. Children’s magazine publishers have put in a good showing in the latest round of ABCs – covering the period July to December 2013. 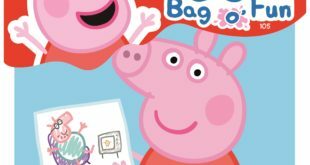 Kicking off with Redan Publishing, and its FTL Peppa Pig magazine took the number one spot for the sixth consecutive reporting period, thanks to another boost in sales. It has an average sale of 98,922 copies, an increase of 14 per cent year on year. Meanwhile, FTL Friends holds second place with an average sale of 69,968, while FTL Peppa Pig Bag-O-Fun debuts in third, with an average sale of 68,507 copies per issue. Outside of the licensing arena, Redan’s girls title Sparkle World saw a period on period increase of three per cent, reporting an average sale of 44,815, making it the most popular multi-character title in the primary girls sector. 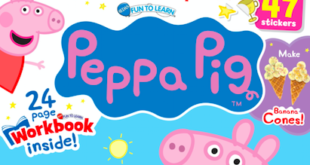 "We are delighted to be able to report such a healthy increase in sales, with FTL Peppa Pig magazine hitting an all time high," said Julie Jones, joint MD of Redan Publishing. Meanwhile, Egmont Magazines saw good performances from its Toxic and Go Girl titles. Toxic remains the UK’s number one tween boys magazine, with the title reporting a 12.8 per cent growth YOY and one per cent growth POP. Go Girl, meanwhile, saw circulation increases of 21.9 per cent YOY and 11.4 per cent POP. The growth of the Disney portfolio, with circulation increasing 11.2 per cent YOY and 18.4 per cent POP, was bolstered by new launch, Disney Stars, which had a circulation of over 45,000. Other licensed titles performing well for Egmont included Monster High Magazine, which grew 11.2 per cent YOY; Thomas & Friends which rose 42.3 per cent YOY and 28.4 per cent POP; and Hello Kitty Magazine which was up 19.4 per cent YOY and 6.4 per cent POP. New titles due for launch in 2014 include Angry Birds Magazine in July and Disney Infinity Magazine in April. 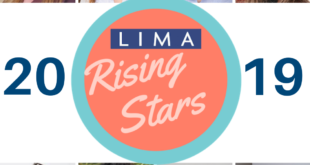 Gillian Laskier, MD of Egmont Magazines, said: "As a specialist children’s publisher we have an in-depth understanding of our market – and we continue to work closely with various parties who value a quality offering for children." Finally, Immediate Media saw its youth and children’s portfolio record 7.6 per cent growth YOY. Particularly strong performances were made by Girl Talk Art, Octonauts (which saw two per cent growth YOY), Cbeebies Special (which grew 16 per cent during the period), Mega and BBC Doctor Who Adventures. Andy Marshall, MD, youth and children, commented: "We launched five new titles lat year: Blossom, LEGO Legends of Chima, Mega, Mr Men Little Miss and Tree Fu Tom. "At the same time we’re proud to highlight the continuing success of titles such as BBC’s Top of the Pops, which will be publishing its 250th edition in April; Girl Talk, the longest running pre-teen girls magazine, which celebrates its 500th issue in March; and BBC Match of the Day which has increased its market share to 55 per cent. "We are currently finalising three new licensing deals with global brands, while continuing to explore digital opportunities and exploit alternative revenue streams."